Beware! 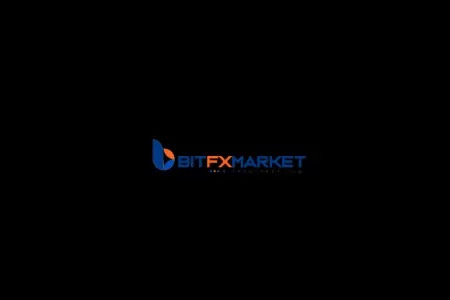 Bit FX Market is an offshore broker! Your investment may be at risk. Bit FX Market claims to trade forex pairs, CFDs and binary options with the authorization of four well respected financial authorities throughout Europe and Australia. That however is not the case, and what is more the Financial Conduct Authority (FCA) in the UK has issued a recent warning against the website. First we should note that if you enter bitcoinfxoption.com, you will be automatically transferred to bitfxmarket.com – both domain names lead to the same page – that of Bit FX Market, where however almost the whole presentation is about Bitcoin FX Option. So Bitcoin FX Option or Bit FX Market, as you wish, says to be owned and operated by BIT FX MARKET, through three subsidiary companies – Bitfxmarket (Europe) Ltd, Bitfxmarket (UK) Ltd and Bitfxmarket AUS Capital Pty Ltd., each regulated by either the Cyprus Securities and Exchange Commission (CySEC), the National Securities Market Commission in Spain, the Financial Conduct Authority (FCA) in the UK or the Australian Securities and Investments Commission (ASIC). Unfortunately non of that turned out to be true and besides, as we already mentioned, there is a recent warning by the FCA in the UK and the Italian Commissione Nazionale per le Società e la Borsa (CONSOB) against Bitcoin FX Option, accusing them of operating as a clone company of a FCA authorized firm. All of that confirms our suspicion that we are talking about two connected, anonymous, scam web domains – bitcoinfxoption.com and bitfxmarket.com. As always in such cases we will repeat our advise to deal only with properly authorized brokers and to double check their authenticity in the registers of FCA, CySEC or ASIC – the three regulatory hubs covering almost 90% of the legit brokers on the market. Take a note as well that if you trade with a broker regulated in the EU such as CySEC, the money in your account will be covered by a 20 000 EUR insurance, while with a FCA broker the insured amount will be 50 000 GBP. As far as the payment methods, Bit FX Market says: “we prefer bank wire, because it offers a paper trail. We have banks for deposit in the USA and China, whichever you prefer, however we have all the available forms of Money transfer from Money Orders (Western Union, Paypal, MoneyGramm) to Bitcoin”. That statement is significant in two ways – Bit FX Market does not accept payments with VISA or MasterCard and that means you will not be able to file for a charge back – you can file for a charge back only with a credit card company. And second, you do not have the option to pay with Skrill, and this is no coincidence as well, because recently Skrill adopted a new anti – scam policy, according which all brokers, that want to use its services should present a legit license. As we already discussed Bitcoin FX Option or Bit FX Market is a unregulated, scam web site. Otherwise the minimum deposit requirement is 500 USD and that by the way is excessive as most brokers require no more than 250 USD as a initial investment. Con artists run sophisticated organizations, that employ international call centers scattered through out South East Asia and Eastern Europe, as well as stylishly designed robo scam web sites such as Crypto Revolt and Bitcoin Evolution, that are basically traps for careless investors. If you stumble across one of those web sites you will be greeted by an elegant video ad with an irresistible offer for fast and easy returns, guaranteed and completely risk free. And if you get hooked by the idea, all you will have to do is fill the simple registration form with your e-mail and phone. After that usually you will be automatically transferred to the web site of unregulated, offshore broker, where finally you will be asked to invest about 250 USD. Now, take a note that your first trades will be amazingly successful and pretty soon the 250 USD in your account will almost double. That, however is all part of the scam. Fraudsters will simply manipulate your trading results, so that they will have no trouble misleading you into investing a larger amount like 10 000 USD. That is exactly what your “senior account manager“ will suggest, probably on the phone, when he or she calls you with the latest trading signals. And most people do invest that kind of money, without realizing they have been scammed until the very moment they decide to withdraw some of their cash. Than, it will suddenly turn out they can not withdraw, because of some minimum trade volume requirement, connected to the trading bonus they have accepted in the first place. Of course the excuse might be different, but the end result will always be the same – scammers will not give a single penny back. Do not hesitate, but immediately file for a charge back with your credit card company. Fortunately both VISA and MasterCard recently extended the maximum period, in which you will be allowed to do that to 540 days. And if you have told scammers, by any chance, your credit card number or online banking password, immediately change the password and block your credit card. Finally, if you have lost money, because of a scam, do not accept the offers of the so called recovery agencies. They will not recover you a single dime, but will just charge you some money in advance and basically you will end up with even less cash.